It’s a well-known adage: each day dawns as a new opportunity to pursue a healthier, more fulfilled life. We all nod in agreement – yet how often do we actually put in the effort required to make it happen? I was tired of a life spent amassing mindless luxury. One day a few years ago I made a conscious decision to change my life, from that of a mindlessly “hyper-busy” world-travelling executive to that of a mindful business owner advocating Soul Luxury. I was tired of accumulating ‘stuff’; of gauging my importance by how packed my schedule was; of a life spent amassing mindless luxury while neglecting the biggest luxury of all: the feeling of ‘not having to worry’. I decided that I not only wanted to live a happy and healthy life (something that is essential to us all) but to take my own personal ‘luxury’ to an even deeper level: the luxury of living a life dedicated to the Truth of who I am – a truth so deep that it could weather storms of complications, thoughts, emotions or struggles. I wanted to make the change. I won’t kid you: this didn’t happen without some degree of effort. It required perseverance, focus, and intention. It was messy at times. And during the period of transformation, I sometimes yearned for the old way – a way that was often ‘easier’ to live with. But armed with the knowledge that I wanted to carry on, I did. My life has always been fast-paced – spent ‘on the road’ more frequently than not – so the challenge of turning every working day into an empowering, mindful version of its former self was at times very challenging. But my commitment to use each day as an opportunity to evolve wasn’t a decision I took lightly. And so I stuck to it – through, and despite, the ups and downs that we all face. Question your emotions (a fabulous route to self-knowledge) as you read through the list. So how did I do it? Below, I’ve shared some of the routines and rituals I have embraced along the way. This is by no means a definitive list. You may relate to some and choose to reject others. Be honest with yourself as to why you may feel a certain way and recognize alternatives that may be better for you. You might be surprised by what you discover! There is no set formula to an empowered, mindful life but with the right intention, and a little effort, you can find a path to a ‘truer’ you. And don’t worry if you still have your ‘off’ days – I know I certainly do! This isn’t as easy as it sounds; to capture this very first thought is a practice in itself. The power of thought: once you have learnt to connect to your first thought, observe it. If it is negative, now’s the time to shift it. The power of body: take a few moments to scan your body from your toes to the top of your head (I usually do this 3 times). It’s a great way to connect to the parts of us that we so often neglect or take for granted. I now also visualize white light infusing my body and energizing my cells. Find what works for you. The power of intention: I firmly believe we create our own reality. Each morning before I climb out of bed, I take a minute to put out an intention for the day. I’m sure this is something most of us do as part of our morning routine, but a mindful shower – versus one spent racing ahead in your mind to the day’s ‘to do’ list – can make a world of difference. You can continue to energize your body by imaging bright light pouring over and through you with the water, from top to toes. I have also started to hum a few Oms to uplift my spirit (quietly, so nobody hears me!). I also take a moment to visualize myself in a bubble that I fill with bright light; the more I open myself up to other people’s energies, the more I have realized the need to protect my own too. Aim to incorporate a 20-minute meditation and a few yoga stretches at the start of each day. At the weekend, I try to read some relevant texts too: I might not understand everything I read, but I try to absorb the energy behind the words. Depending on where I am working, I adapt this routine and use it when I first ‘check-in’ at my desk as well as at regular intervals throughout the day. Adapt a routine that works for you. Private office: I like to cleanse the space with incense, put out an intention for the day (this may be the same as my early morning intention or it may be linked to something specific I am working on). The key here is that each intention is linked to living my Truth. Public/client office: I imagine scanning the room with white light to cleanse it energetically. I still set intentions in my head and make sure I am aware of what is going on around me and what I may need to shield myself from or open myself up to. Regardless of where I am, I set my timer for intervals during the day. This isn’t to check up on my progress or hours spent, but to check in with me. How is my energy? Is it positive and light or heavy and negative? Am I feeling connected or distant? Depending on my state I then choose either a brief meditation or physical exercise or go intentionally into the office kitchen for a cup of coffee, which I make sure I cherish! Each little practice stops my day running into a long sequence of seemingly endless hours and prevents that end-of-day feeling of having done ‘lots’ but achieved ‘nothing’. I review each day before going to sleep; I send gratitude to people and situations I encountered during the day and take note of things I may choose to do differently another time. This isn’t a time for ruminating or feeling overwhelmed by guilt or negativity. Detach yourself from what happened and merely acknowledge it by giving gratitude. In time, it becomes just as easy to feel grateful for the lessons learnt from negative experiences as positive ones. 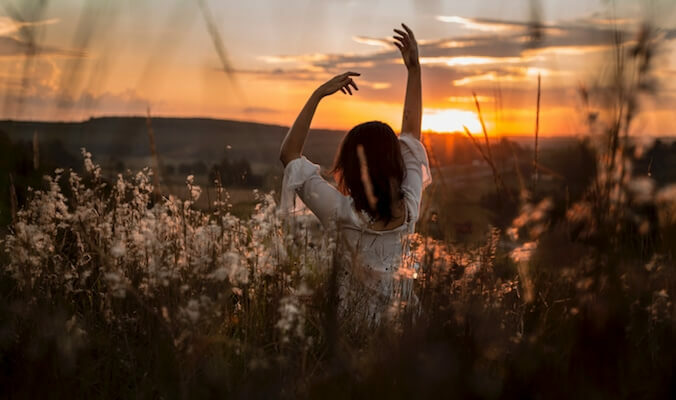 Before you close your eyes, you can set a good intention to become aware of your first waking thought – until that too becomes a natural part of your routine. As with any change in routine, adapting to a more mindful working day may feel overwhelming at first, and it certainly won’t happen overnight. View it as an ongoing process. Every little change is a step closer towards living a more fulfilling life. It’s all about integrating the life we wish to lead with the working life we are currently living, until they merge into a harmonious whole. Become aware of each choice you make. Celebrate every step as progress. Even choosing, right now, to commit to a life lived more mindfully and more connected to your Truth is a step that’s worth celebrating. At the HEALING SUMMIT taking place in Berlin on 5/6th March 208 Claudia is in conversation with Stacy Fisher-Rosenthal, President Fischer Travel Enterprises, New York. Day and night Stacy is there for the luxury clients: what are they really seeking? 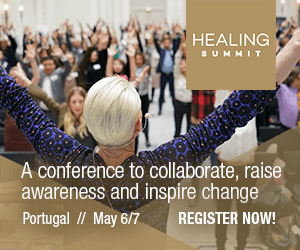 Register for the HEALING SUMMIT now and learn about the true longing of luxury travelers and much more. Claudia Roth has found the right way to advise and to point out how to care for our life, which is the most precious thing given to us. It is a challenge, however it is a great feeling to realize that your body corresponds with your soul in harmony ! I feel good !